München Ticket is the leading ticketing provider in Bavaria. The portal www.muenchenticket.de is built and operated by headissue. 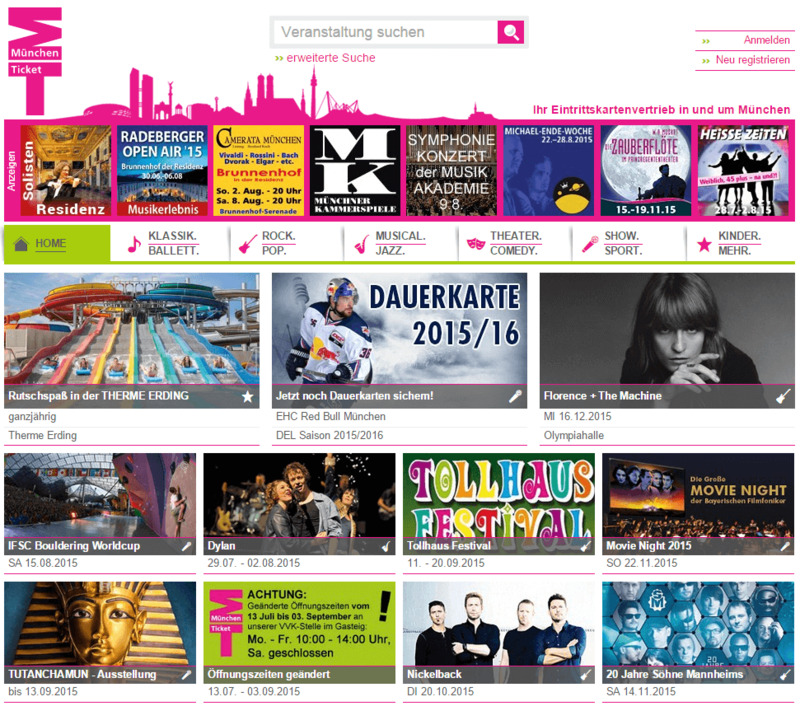 The portal allows visitors to search for events and buy tickets online. Thousands of tickets are sold everyday, or, if there is high demand, in less than an hour. Being on the market since the year 2000 and providing online sales, it pioneered the eCommerce industry and showed others how existing businesses can extend into the online world. Since then, it is constantly innovating. The platform was one of the first to provide a mobile-enabled online ticketing experience leveraging cost-effective responsive design methodologies.